A deep sense of detachment came over me, and I said to him, “I’ll do whatever it takes to get this done and move on with my life”. We were in a video call together. He smiled at me as if to acknowledge that I had finally reached the stage where I was done debating changes with him. “You are almost there…” he said to me. 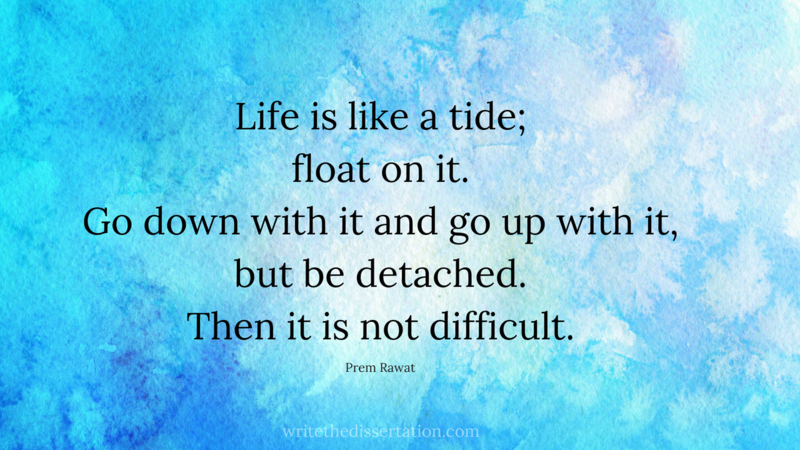 My goal in helping my dissertation coaching clients is to get you to the detachment phase sooner. While each of you has something waiting for you when this is over… a professional promotion, a collegiate teaching career, a tremendous sense of accomplishment, achieving a personal milestone... the dissertation is a means to an end. We are not defined by this sole body of work. Once you can detach yourself from the work you are doing, each revision request met without resistance will get you closer to the finish line. How many of you are there already? Are you ready (and willing) to meet revisions without resistance? How many of you are still struggling with this?